James and Rondo both rocked up at the Staples Center over the summer after leaving the Cleveland Cavaliers and New Orleans Pelicans respectively. And the duo have helped Luke Walton’s young roster bounce back from a difficult start to the season to secure a winning 8-6 record after 14 games. 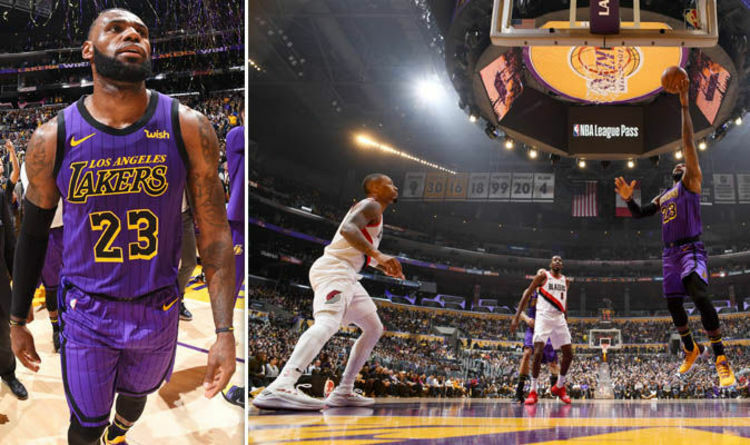 The Lakers’ latest victory came on Wednesday night as they beat the Portland Trail Blazers 126-117, with James notching up 44 points to go fifth on the NBA all-time scorers list. The win came at a cost though with Rondo suffering a broken hand which Walton has confirmed will rule him out for a few weeks. Speaking post-match, LeBron James issued an order to the Lakers’ medical team in the hope Rondo will soon be back on court. “It’s tough,” James said, when asked about the Lakers losing Rondo to injury. “He’s one or our captains. One of our leaders. “I heard we have great surgeons here in LA, so get right to it. “Start his rehab as fast as possible. Get him back. It’s next man up. Kentavious Caldwell-Pope echoed James’ comment on Rondo’s Lakers’ team-mates needing to take on the burden of replacing him. “He’s the head of the snake,” Caldwell-Pope said. “He’s the PG [point guard], he’s directing everybody and putting them in the places we need to be. The Los Angeles Lakers are next in NBA action when they take on Orlando Magic on Saturday night. Walton’s side sit seventh in the Western Conference following their win over the Trail Blazers.